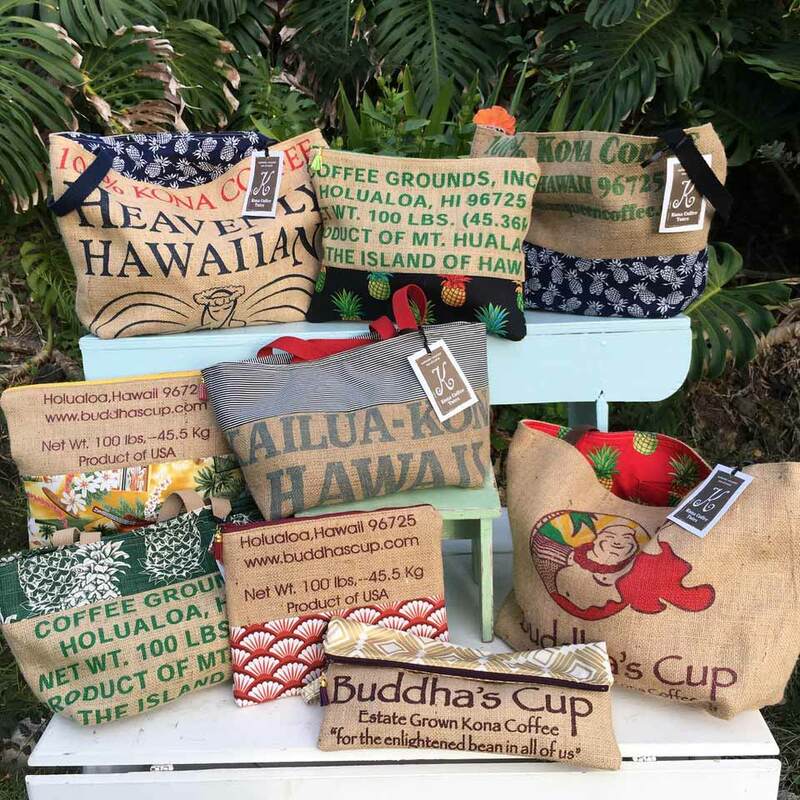 Kona Coffee Totes are handmade by Kerry Colvin in her home studio in Kona, on the slopes of mount Hualalai. The totes are made using authentic burlap coffee farm bags, and lined with Hawaiian print cotton fabric. Kerry makes a variety of styles and sizes to suit your needs, from large totes to small clutches.